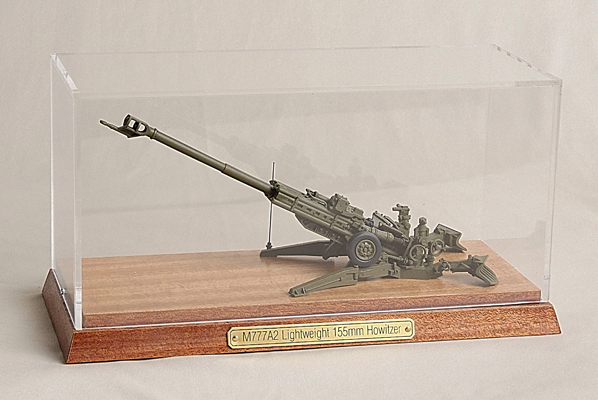 This highly detailed and accurate replica of M777A2 Lightweight 155mm Howitzer is 100% Pewter cast, manually assembled, painted and ready for display. The replica is mounted on a mahogany base with brass nameplate and a clear protective cover (display box). A perfect gift/award for exceptional service.